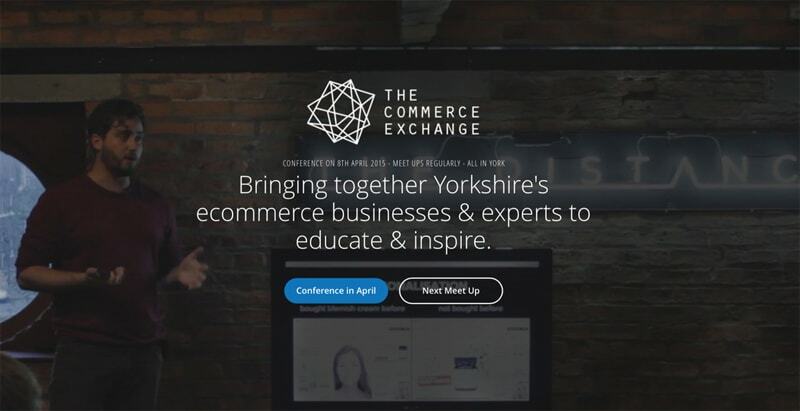 The Commerce Exchange in York is the first specific eCommerce conference day-long event to be held in the city. Organised by Ryan Atkins, Director, and Co-Founder of The Distance, a creative digital agency located in Skeldergate, York. It took place on 8th April 2015, the day before another digital conference; DotYork was taking place. York’s becoming home to more and more technology-focused businesses. The Think Visibility conferences are all about helping you to “get more from your website”, no matter how you use it or what type of business you have. Around a year ago, we got our first look at Microsoft’s latest innovation for their Xbox 360 console, their motion controller; Project Natal and a lot of people have been wanting to see just how well this works, well I recently got the chance to have a hands-on (so to speak) preview! 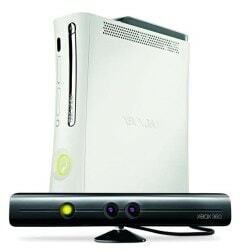 Ever since Project Natal (or Xbox Kinect as it’s now known as) was announced, I’ve been very keen to see quite what it’s capable of because the potential it holds for future games could be substantial as shown in the videos at E3 2009, especially the Milo interactive artificial intelligence that Peter Molyneux’s developers created in just a short time of having access to this in-development Xbox motion controller accessory. Last weekend, I attended the Dabs IT & Gadget Show we recently brought you news of, at Wembley Stadium. It was definitely the biggest hoo-ha I’ve seen for an event that was only fairly mediocre, at best. I was forced to book my tickets for this a couple of months in advance because the organisers claimed that the event was in high demand. After doing so, I was then sent a follow-up email (a couple of weeks before the event) asking me to once again confirm my attendance for the event, as well as asking me how many tickets I would like (up to a maximum of four). A couple of days before the event I received an email reminding me of the high number of attendees, asking me to bring along my ID, otherwise, myself and my guests would not be permitted entry. Finally, I was asked to print out the ticket to bring along with me. I took three friends along and we turned up at the door expecting a mad rush of people. UPDATE: I’ve now reviewed the latest Think Visibility 9 conference, so be sure to take a look at that page if you’re interested in finding out how #ThinkVis did on its 5th anniversary! This past weekend I packed my bags and headed down to Leeds for the Think Visibility 3 conference, as the name indicates, this is the third such event and the first of two in 2010. The whole idea behind these one-day conferences (organised by Dom Hodgson and his team) is that they cover “the things that usually get left behind in the web design process” and therefore typically covers topics such as SEO, PPC, social media, affiliate and digital marketing/branding. The venue itself remained the same as that used for the Think Visibility 2 conference in Sept 2009; the Alea Casino (near the Royal Armouries museum) in a very smart and clean Clarence Dock area of Leeds. Upon arrival to the event we received our ID badges and just from that you know that you’re in for an event with a bit of character – the organisers had only gone and created our very own “Twitter Top Trumps” from the statistics of our Twitter accounts! These made for a great talking point during the whole event as you met up with different people that you already knew and even more importantly with people you didn’t – this was a great way to break the ice I thought, so well done to the Think Visibility team for coming up with that idea! Here at Zath, we’re big fans of hi-tech gadgets, computing, gaming and technology in general, so when the chance to go along to a live show and take a look at some great bits of technology kit comes along, then we want to be there – as seen by our attendance at the Gadget Show Live 2009 event last April and the Eurogamer Expo 2009 in October. Well, we’ve just been informed by our friends over at Dabs.com that they’re running two free Technology and Gadgets Show events in March 2010 that the public can attend free of charge! At the Dabs.com Live show events which you’ll be able to see some of the hottest new technology of 2010 being showcased here in the UK…oh yeah, the show will also be being hosted by the Gadget Show’s very own Suzi Perry! Here at Zath we like to do things properly, so when we thought we’d check out the Eurogamer Expo 2009 not only did a couple of us visit the Leeds gaming show but I headed off down to London to get a fuller picture of what was at the Eurogamer’s gaming show and see some of the things that the others didn’t have time to investigate. So after a relatively quick train ride next to a man talking to his watch (the downside of putting phones on your wrist), I, like my Zath counterparts, entered the Eurogamer Expo 2009 this time housed in the Old Billingsgate just a few hundred meters down the river from Tower Bridge and I have to say I too was impressed! 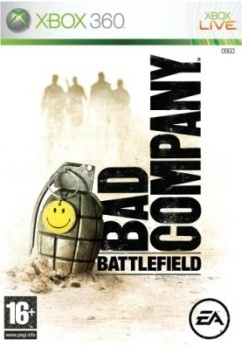 Welcome to our Eurogamer Expo 2009 review of the Leeds event. It was our first venture out into the world of gaming shows and both myself and Simon were quite impressed with what was on offer. So here’s a quick review of the gaming show event and also previews of some the games that were got to play. There were a few games that I was dying to play and some that I was mightily surprised with once I had some hands-on time with them. Upon our arrival, we were shocked to see the size of the queue that surrounded the building. Luckily we managed to take advantage of our press passes and jump straight through without having to wait for hours to get in. Danny ‘Ender’ Martin has been part of the Zath team from pretty much the very beginning since he met Zath himself at Leeds Met University whilst studying Business IT. He’s an avid gamer and a big film buff. Danny graduated from the University of Bradford with a degree in Computer Animation and SFX and now currently works at one of the biggest UK games developers, which will hopefully see some of his ideas hit the gaming world.